A new year requires a new calendar. Don’t you just love the crisp, uncurled pages–the empty spaces for each day, filled with nothing but optimistic possibilities? Perhaps you’re starting the new year with a fresh journal. Again, the pristine pages are filled with nothing but hope and expectation. New ears—to hear his still, small voice. New resolve—to follow God’s direction. New courage—to speak his truth boldly. New faith—to live with confident trust in our Heavenly Father. These abilities cannot be bought at Barnes & Nobles, like a calendar or journal. They are procured through prayer and discipline. A good place to begin? David’s prayer in Psalm 51: “Create in me a pure heart, O God, and renew a steadfast spirit within me…Restore to me the joy of your salvation and grant me a willing spirit, to sustain me” (Psalm 51:10, 12). Allow me to personalize it a bit. Create in me a pure heart, O God (just as you created a perfect universe from chaos). And renew a steadfast spirit within me (that my greatest desire might be to please you). Restore to me the joy of your salvation (just as we experience in the euphoria of Christmas Eve)! Grant me a willing spirit, to sustain me (throughout 2014). The typical new year’s resolution is made, broken, and forgotten. Rarely does someone make a once-a-year promise and keep it faithfully for the next 364 days. Perhaps we’d be wise to see each new day as a fresh opportunity for beginning anew. To repent of yesterday’s failures and forget them. To strain toward what is ahead—with enthusiasm, expectation, and hope (Philippians 3:13). And gradually those new abilities we aspire after, will begin to flourish. God says, “Forget the former things; do not dwell on the past. See I am doing a new thing” (Isaiah 43:18-19a)! Thank you, Father, for your mercy to forgive the past, and your grace to provide for the future. Thank you that each morning is a fresh start, and each new day holds hidden opportunities. With great anticipation I turn the page! 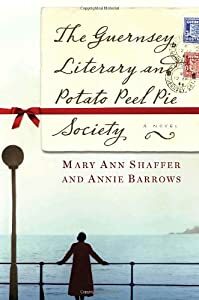 The title grabbed my attention: The Guernsey Literary and Potato Peel Pie Society (by Mary Ann Shaffer and Annie Barrows). And it turned out to be an excellent read, especially since I particularly enjoy historical fiction. But this post is not a book review. It’s about a statement one of the characters makes. First, a bit of background. A group of folk who lived on the island of Guernsey, in the late 1940s, were greatly anticipating the arrival of a writer. She was going to tell their story of what happened during the German occupation of World War II. Upon her arrival, one of the village residents, Juliet, says, “How beautiful of you to come” (p. 26). Note she did not say, “How wonderful of you to come.” She said, beautiful. I love the use of an unexpected word that catches me by surprise and makes me think. As I read Juliet’s statement, I thought it made a perfect gratitude prayer to Jesus, especially at Christmastime. How beautiful of you to come—how lovely, graceful, goodly, splendorous, and magnificent. Becoming obedient to death (Philippians 2:7-8). Love, expressed with forgiveness, patience, and benevolence (1 Corinthians 13:4-5). Perfect sinlessness, giving us a worthy example to follow (Hebrews 4:15). Truth, in which we can trust (John 14:6). Peace that defies explanation (Philippians 4:6-7). Turn my darkness into light (2 Samuel 22:29b). Be the source of my salvation (Hebrews 5:9). Be with me always (Matthew 28:20). Provide blessing after blessing (John 1:16). How beautiful of you to come. And as we welcome you into our hearts, Lord Jesus, you make us new (2 Corinthians 5:17). Shine like stars (Philippians 2:15). Be the aroma of Christ to others (2 Corinthians 2:14-15). Reflect your image (Romans 8:29) of holiness, moral purity, and love. Oh, how beautiful of you to come! No doubt we would all agree: Christmas is much more than carols, cookies, and cards. The heart of this holiday goes even deeper than the love we express with presents. It is a celebration of God’s inexpressible gift (2 Corinthians 9:15). And those of us who accept God’s gift of eternal life through faith in Jesus, ought to live our lives with overflowing gratitude. The motivation behind our words and deeds should be the same sacrificial love which motivated Jesus. Ouch. If God made these stipulations into law, and only law-abiders were allowed to celebrate Christmas, I’d be left out. My thoughts and motivations are not always pure. I do not consistently put others’ needs before my own. My focus is not always on what I can give. But Rev. van Dyke’s essay does not end on that hopeless note. He adds one more glorious line. Of course not! “We are utterly incapable of living the glorious lives God wills for us” (Romans 3:23, The Message). However. God does not expect instantaneous perfection, the minute we invite Jesus into our lives. “God who began the good work within [us] will keep right on helping [us] grow in his grace until his task within [us] is finally finished on that day when Jesus Christ returns” (Philippians 1:6, The Living Bible). 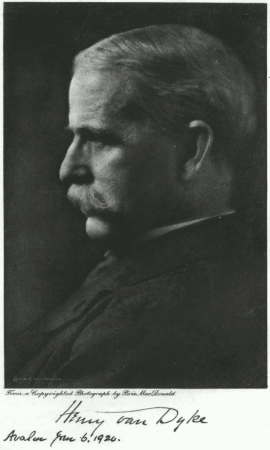 *Henry van Dyke (1852-1933) was an author, educator, and clergyman. His lengthy list of accomplishments included professor of English literature at Princeton, minister to the Netherlands and Luxembourg (by appointment of President Wilson), and author of many poems, stories, and essays. “The Other Wise Man” and “The First Christmas Tree.” are among his most popular works. He also wrote the lyrics for a number of hymns, including “Joyful, Joyful, We Adore Thee.” The first verse is quoted above. Like most expectant parents, Steve and I considered dozens of names before each of our three children were born. First of all, the name had to have a pleasing ring with our unusual last name, Ruegg (pronounced “rug”). We passed by Douglas. Doug Ruegg rings too loudly. We wanted a name that would not attract teasing or silly nicknames. We passed by Dustin. Dusty Ruegg would be too tempting. And we wanted a name that meant something worthwhile, so we passed by Darnell. “A-Type-of-Grass” Ruegg would not be very inspiring. No doubt many of you who are parents experienced the same struggle to find appropriate names for your children. Mary and Joseph, however, had no such struggle with their firstborn. The angel who visited Joseph in a dream to tell him about Mary’s child, also informed him of the name. “You are to give him the name Jesus,” he said (Matthew 1:21a). And when an angel brought good news of great joy to the shepherds, he said, “A Savior has been born to you; he is Christ the Lord (Luke 2:11). These two scriptures give us the three names we probably use most often when referring to God’s Son: Jesus, Christ, and Lord. And each name carries significant meaning. Jesus, or Yeshua in Hebrew, means “Yahweh (the Lord) is Salvation.” Could a more perfect name be chosen for the One who would “save his people from their sins?” (Matthew 1:21b). Yeshua becomes “Joshua” when translated into English. And in Greek (the language in which the New Testament was written), Yeshua becomes Iesous, or Jesus in English. Jesus, our Savior. The only perfect God-Man able to save us from the consequences of our sins. He is our supreme Christmas gift, given by God, because he loves us. Deeply. Anointing was a God-ordained custom, to dedicate someone for a special task. You might remember the prophet, Samuel, anointed David to be king over Israel (1 Samuel 16). That is, Samuel took oil (probably olive oil) and poured it over David’s head, signifying divine equipping for his royal position. Again, what could more appropriate than our Savior to be symbolically anointed by God? Jesus was divinely equipped for the special task of saving his people from their sins. Lord is also a name bestowed on God’s Son. It is the name that is above every name. And the glorious day is coming when every tongue will confess that Jesus Christ is Lord (Philippians 2:9-11). Imagine that. Millions of voices proclaiming his majesty! Lord is a familiar term, come down to us from feudal times in England, when kings and nobles were addressed as “lord.” It denoted power and influence. The history of the word, though, reveals a fascinating connection to Jesus. Lord is derived from a compound of two very early Old English words: hlaf (pronounced with a long “a”) and weard. Hlaf means “bread,” and weard means “ward” or “guardian.” Lord literally means “guardian of the bread.” In feudal times, such a position would be highly important to the household. And so lord came to mean “a man of authority and rank” (Webster’s New College Dictionary). Such background gives new meaning to Jesus’ words, “The bread of God is he who comes down from heaven and gives life to the world…I am the bread of life” (John 6:33, 35a). In other words, he is the Sustainer of life. Whoever comes to him can experience deep satisfaction of spirit (v. 35). Jesus stands as the guardian of our abundant life now and eternal life in heaven yet to come. He is also the guardian over of our minds and hearts, supplying peace, joy, comfort, and more. “I am convinced that neither death nor life, neither angels nor demons, neither the present nor the future, nor any powers, neither height nor depth, nor anything else in all creation, will be able to separate us from the love of God that is in Christ Jesus our Lord (vs. 38-39). And now, what do these names signify to me? Am I deeply grateful to my Lord Jesus Christ? Are my thoughts, attitudes, and actions pure and holy gifts I can give back him– my Savior, anointed Deliverer, and Guardian of my life? Lord Jesus, your very names proclaim astounding truths: you are the Savior of the world! In fact, you are the only Deliverer who can proclaim us “not guilty” before Almighty God. And you are our Guardian, caring for our every need, when we depend upon you. I praise and thank you for your love and grace, demonstrated supremely when you died in our stead. Oh how I want my life to be a delightful Christmas present for you! God often uses improbable people, in obscure places, to accomplish his purpose. Scripture is full of examples; and each of us can probably site contemporary proof. The story of the familiar carol, “O Holy Night,” certainly confirms the premise. In 1847, a parish priest of Roquemaure, France asked Placide Cappeau, a winemaker, to compose a poem for the Christmas mass. Placide was not a published author; he only wrote poetry as a hobby. So did the priest choose Placide because he was a devout follower of Jesus and faithful in his support of the church? No, in actuality, he rarely attended mass. Did God choose Placide, and prompt the priest to ask him the favor? Perhaps. What we do know is, Placide said, “Yes.” Not long after, while en route to Paris by coach, he began the creative process by imagining himself at the birth of Jesus. His spirit became inspired, and before Placide arrived at his destination, “O Holy Night” was finished. What this poem needs is music, Placide thought, and asked his friend, Adolphe Adams, to provide a melody. 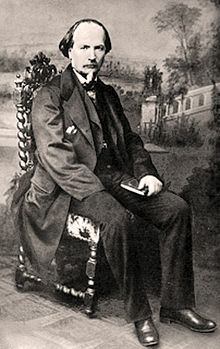 Adolphe was a gifted musician, having studied at the Paris conservatoire. Before age thirty, he had produced two operas and several ballets. He received commissions from around the world to write symphonies and ballets for orchestras and ballet companies. Adolphe could have said, “No.” After all, he was a busy man, and what would he gain by writing a tune for a Christmas Eve service? Perhaps he was motivated by fondness for his friend. Or did he find the lyrics strangely compelling? You see, Adolphe was not a church-goer either. In fact, he was of Jewish ancestry. He had no interest in Christmas! So did God work in his heart, giving him the desire to create music for this carol, then inspiring the moving melody? Perhaps. Just three weeks later, “Cantique de Noel” was performed for Christmas mass. “Cantique de Noel” did become a beloved carol very quickly, but church leaders banned the song from services. 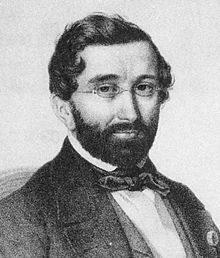 Placide had joined the socialist movement, and it became known that the composer was Jewish. The French people, however, continued to sing it. Ten years later in America, a former-minister-become-publisher, John Sullivan Dwight, “happened” across the French carol. Like so many before him, he fell in love with the song. John translated it into English and published “O Holy Night” in his Journal of Music. The confrontation between North and South was already brewing, being heavily debated throughout America. John was an abolitionist, and found those words (which he translated faithfully from the original French) to be incredibly meaningful. Many Americans joined John in his enthusiasm for the carol, especially in the North. Had God brought the carol to John’s attention, just when Americans needed a reminder of God’s love for all men and His Gospel of peace? Perhaps. The history of this carol does not end there. According to legend, “O Holy Night” brought about a Christmas miracle in 1871. France and Germany were at war. Even on Christmas Eve, the battle raged. Suddenly a French soldier jumped out of a trench, stood boldly without his weapon, and began to sing “Cantique de Noel.” Gunfire ceased. Except for the man’s singular voice, all was quiet. He sang all three verses. For twenty-four hours the fighting stopped, in honor of Christmas. Thirty-five years later, in 1906, “O Holy Night” was part of another historical event. Reginald Fessenden, a professor and former chemist for Thomas Edison, broadcast his voice over airwaves on Christmas Eve. First he read from Luke, chapter 2. Can you imagine the shock of radio operators, used to hearing the long and short pulses of Morse code, suddenly hearing a voice? And my guess is, there were a few tears as the Christmas story ended and Reginald took up his violin to play “O Holy Night”– the first song ever heard on radio. “It is the night of the dear Savior’s birth! …He appeared and the soul felt its worth. Art & photo credits: www.hdwallpapersinn.com, www25.uua.org, http://www.wikipedia.org; http://www.stormfront.org. That would be in keeping with the definition of merry: full of high-spirited gaiety, delightful, entertaining, joyful, and mirthful. But centuries ago the word merry denoted peacefulness and blessedness. “Merry Christmas” meant, “May you have a peaceful Christmas” and “May Christmas bring the blessing of God to you” (Christmas by Charles L. Allen and Charles L. Wallis, Fleming Revell Co., 1977). Did you pause after the comma in the first line? Without it, the meaning changes. The anonymous poet was wishing peaceful, contented, joyful rest to others, as they remembered Christ their Savior. Lonely. Oh, God, wrap a loving embrace of your comfort around those who do not have family or friends with them this Christmas. I thank you for the promise that you are our refuge and strength, always ready to help when we need you (Psalm 46:1). Be a warm solace, I pray, to the one who feels alone. Enduring hardship. 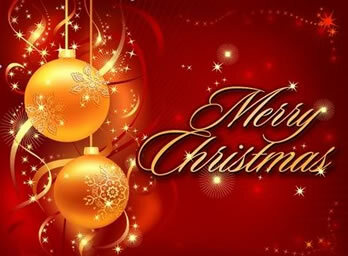 Oh, God, may the blessing of Christmas include grace and mercy for your children who are suffering through difficulty. Out of your compassionate mercy, ease their burden, and out of your unfailing grace, grant them strength and favor (Hebrews 4:16). Struggling with painful memories of Christmases past. Oh, God, shower your tender, loving care upon those with hurts from the past, hurts that cast a shadow over the joys of the present. Grant them liberating freedom from emotional distress. May your peace cover those memories, so they no longer cause anguish (John 14:27). For all of us, Heavenly Father, may the blessing of Christmas include renewed wonder for the indescribable gift of your Son. Thank you for providing through him the way to eternal life. Such peace and blessing are ours in that single assurance! With quick steps I entered T.J. Maxx. Mustn’t waste a minute in December. Too much to do, right? First order of business: get a cart. The first one I grabbed was stuck to another. Couldn’t get them apart. I tested the cart myself, turning it one way and then another. This was the Cadillac of carts. Very fluid and responsive. Quiet. Mrs. Lovely Lady chuckled a bit at my excitement. “Yes, it’s a great cart. I really hate to leave it,” she added wistfully. “Well, pay it forward,” she called and headed to the exit. As a result, I felt incredibly refreshed and invigorated. Just that brief encounter made a huge difference in the condition of my spirit. And I pray that kind woman who passed on her cart experienced the same uplift. Lord, help me to pay forward many kindnesses during this Christmas season, and beyond into 2014. May I reflect you – your love, joy, kindness, and goodness—with plenty of good humor! And one more thing, Father. I don’t know who that woman was in T. J. Maxx, but you do. (Such a fantastic truth—your omniscience!!) Would you bestow a special blessing upon that lovely lady, for her delightful demeanor and thoughtfulness? Thank you, Father!